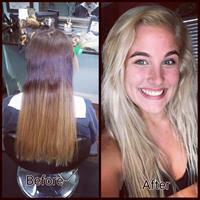 We are a full service hair salon here to help you with all your haircare needs! Angel Hair is locally owned and operated. 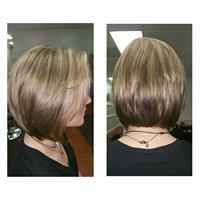 We offer a large variety of haircuts, color, foiling, special occasion hair, airbrush makeup and more! From Hwy 59 turn onto Fort Morgan road take your first right at the PNC Bank( west 2nd street) and we are a block in a half down on the right side inside of Commerce Park complex.